Remark: (1) Display Data is sampled at the negative edge of Data Clock. (2) Data level 0 means no color(Black). 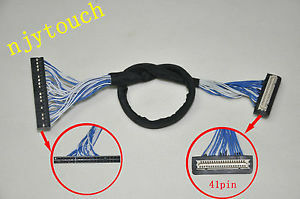 Suitable for Samsung LT121SS-105, Samsung LT121S1-101, LG&PHILIPS LM151X05, etc.